A mixture of solo, two-person and group show creates a compatible and flexible framework which allows open discussions, improvisations, and uncertainties to take place. It is essentially in praise of collective even anonymous authorship. “Shared Narrative(s)” questions what sort of aesthetic and power relation can we create? How do we (re)present relationship itself or even sustain it in a lasting form via on-going collaborations and conflicts? How do we reside beside each other ? In the first chapter of our curatorial project “Shared Narrative(s)”, c besides A, A is an abbreviation of Yunyu Ayo Shih’s project, while c stands for Richard Kuan’s response to Yunyu Ayo Shih. Yunyu Ayo Shih plans to remove the covers of the the S-Space’s heating system from within and from without, meanwhile, clean and polish the pipes together with the ditches underneath. The artist considers cleaning to be a method of making objects, which creates a body of work situates itself in-between a sculpture and a readymade, breaking the boundary between the functional and the decorative. In the courtyard, Yunyu Ayo Shih places a plastic toy fountain in the stone basin. The artist attempts to mark the cycle of the seasons, so these two parts composes a time when the heating supply ends and the spring is about to come. Richard Kuan decides to document Yunyu Ayo Shih’s process of cleaning, and show the recordings via the view finders of disassembled video cameras and independent micro LED screens. Richard Kuan installs these screens on the floor or on the window, providing various levels of viewing points, so the audience need to lie face down or lean on the window in order to watch the documentaries. Additionally, Lin Aojie displays eight copies of an artist book consists of his drawings created in computer software alongside the monographs of ShanghART artists, which adds a humorous comment on sharing an exhibition space. In the second chapter of our curatorial project “Shared Narrative(s)”, a besides B, B is an abbreviation of Lin Aojie's project, while a stands for Yunyu Ayo Shih's response to Lin Aojie. Lin Aojie’s black-and-white video Battle provides conceptual subtitles, which tells the artists the prerequisite for success in the art scene as a battlefield. In response to the video playing in front of the single upholstered armchair via a corporal approach, Yunyu Ayo Shih places several cobblestones inside the cushion. At the first glance, the appearance of the armchair does make a huge difference, seems still smooth, echoing the the liquidity of text and sound flowing in the video. Lin Aojie’s Battle runs like an Empty Fort Strategy, which releases truth mingled with falsehood, while articulating the adversity hidden in our reality. In the third chapter of our curatorial project “Shared Narrative(s)”, b besides C, C is an abbreviation of Richard Kuan's project, while b stands for Lin Aojie's response to Richard Kuan and our curatorial framework. Richard Kuan presents his personal approaches to memory in multiple layers. The car dash cam displayed outside the courtyard symbolizes the deficit in the elders’ short-term memory, which is similar to the information erased every few minutes by the system. Richard Kuan’s recordings of Yunyu Ayo Shih cleaning the heating pipes and ditches are shown inside the space, where our memory of the previous artist never stop haunting. The two-channel video is divided into three parts, which deals with memory images via symbolic, experiential, and conceptual methods. There is a longing for sharing memorable narratives and correspondence. In Richard Kuan’s video installation, we could find the spatialization of time and the materiality of memory. Lin Aojie chooses to grade the previous two chapters, providing his own comments on the shows. It is hard to tell whether he is making the criticism as an artist or a general audience, but it gives us a second chance to review or revisit our exhibitions just past from a critical distance. In the final chapter of our curatorial project “Shared Narrative(s)”, c + a + b, "a", "b", "c" stands for works realized by Yunyu Ayo Shih, Lin Aojie, Richard Kuan respectively according to the same art making instruction. "d" as an abbreviation of the curator who takes part in the art making process temporarily is intentionally left out. Each artist will receive three keywords offered by the curator and the other two artists participating the project, while an artist will create artworks based on the given keywords. Most of the words could be regarded as the comments made about our characters and working methods. They come from our collaborative relationship which is continuous, close, and even unexpectedly intensive. Actually, both choosing and responding to the keywords are quite difficult for us. Yunyu Ayo Shih avoid using any adjective, but selects nouns related to a place or an object in order to describe the status of a person; similarly, Yunyu Ayo Shih takes photos which respond to the keywords he received (“concentrated”, “husband”, “think through”) in an ambiguous way. Lin Aojie picks antonym for Richard Kuan, and he hopes that one day Richard could become a “sly” artist; Lin Aojie interprets the keywords given to him (“elevator”, “boss”, “quick response”) via text-based work. Richard Kuan revisits the visual archives made by his father and himself according to the keywords he gained (“lock”, “sly”, “determined”), in order to select proper images. Miao Zijin finds she could do nothing with the given keywords (“mirror”, “profound”, “Laozi”), but create several images of failure. There is no strictly corresponding relationship between the keywords and the works, while the texts and the images function as two clues representing the way we look at each other when we work together and stay with each other. MIAO Zijin was born 1990 in the province of Jiangsu in China. In 2013, she graduated from BA Creative Advertising Strategy (First Class Honours), London College of Communication, University of the Arts London (UAL), London, UK. In 2015, she graduated from MFA Curating (Merit), Goldsmiths, University of London, UK. MIAO Zijin currently lives and works in Beijing.V She worked at LEAP magazine as an editor in 2017. Her articles could be found in Artforum.com, Artforum.com.cn, LEAP, The Art Newspaper China (TANC), Ran Dian, etc. Miao’s research interests include conceptual art, independent art spaces, institutional critique, art making and circulation in the post-medium and post-internet condition. Projects curated by her recently: “I Do (Not) Want To Be Part Of Your Celebration”, Qiao Space & TANK Shanghai Project Space, Shanghai (2017); “Toward The Emergence Of Resistance: Make It Wrong, Till It’s Right”, Taikang Space, Beijing (2016) and “Welcome”, White Space, Beijing (2016). Yunyu Ayo Shih, born 1985 in Taiwan, currently lives and works in Taipei and New York. He graduated from National Taiwan University with a BA in History in 2007 and School of The Art Institute of Chicago with an MFA in Sculpture in 2014. Since he started to make art in 2010, Shih’s work has always related closely to the space he situated; In Taipei, a city he lived in for ten years, he turn a whole building into the subject of his art in the piece Farewell To A Building, the DDGP (2010). While he is constantly moving and relocating, his works are stored in suitcases and become archives, documents, and books that tells different stories. He frequently explores different appearances of memorial and memory while at the same time involving interactions between himself and state apparatus. Instead of posing a confrontational gesture, he tends to choose coexistent or penetrated attitudes to explore gray areas. Shih’s work has been exhibited at Power Station Art Museum in Shanghai, Taipei Contemporary Art Center, VT Artsalon (Taiwan), Practice Space (NY), 4-18 Space (Bogota), Long March Space in Beijing(2016), Cultural Center Belgrade(2017) and many other space. He has been the recipient of the New Artist Society Award (2012), Taiwan National Cultural Affair Grant (2015), and The National Culture and Arts Foundation Award (2015), and has participated in the Skowhegan School of Painting and Sculpture (2014), the Arctic Circle Residency (2015), and 4-18 Residency in Colombia (2015). Lin Aojie，1986 born in Guangzhou，2010 graduated from BA Oil Painting, Guangzhou Academy of Fine Arts, currently lives and works in Guangzhou. Lin Aojie’s artistic practice employs diverse artistic mediums such as video art, installation, painting, photography and etc. Lin’s work, in most cases, departs from a personal experience and expands into the power of the art system, the relationship between art and the artist, and the boundary on the notion of understanding through witty approaches. Other than his personal practice, in 2011, he founded the Double Color Ball Group with artist Yu Yiyi that made a works with the focus on “how to become wealthy”. 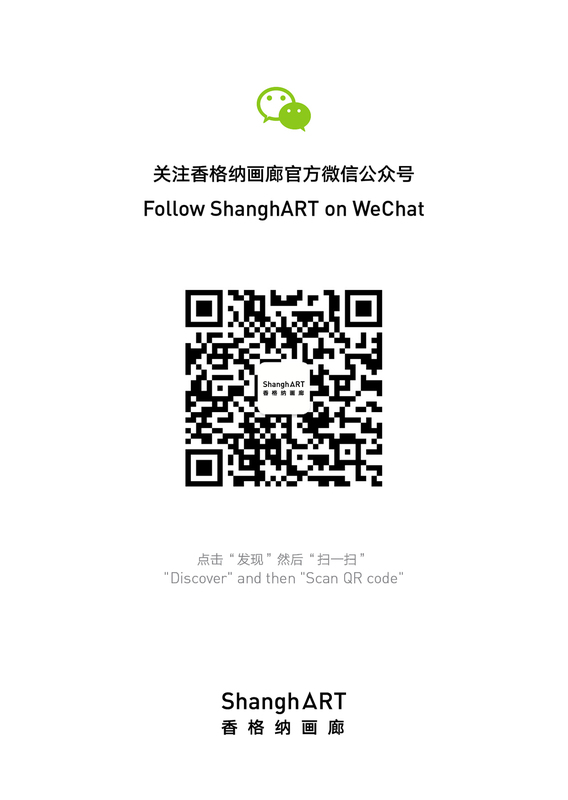 In 2015, artists Cai Huansheng, Yu Yiyi, Lai Zhijie, Chen Pai’an founded the official account on WeChat, 3dgroup, that aims at making works of art at “low cost, low tech and minimal returns”. Recent solo exhibition includes: “If You Throw Enough Mud at the Wall, None of It Will Stick’’, A+Contemporary, Shanghai , China(2017). Recent group show include: “BEING INFORMATION Person-a”， SSSSTART, Shanghai, China (2017); “Drawing Pogo”, Taikang Space, Beijing, China (2017), etc..
Richard Kuan, 1991 born in New York. He received his BFA from Hunter College and is currently a graduate student at the Central Academy of Fine Arts. He also has studied at Nanjing University and participated in the Yale Norfolk program. His work incorporates a wide range of media, including painting, sculpture, photography and installation. His recent exhibitions include: “Traverse Couse”, Huayu Art Sanya, Sanya, China (2016); “Mountain Sites: Views of Laoshan”, Sifang Art Museum, Nanjing, China (2016); “Qilin Stall”, Sifang Art Museum, Nanjing, China (2015), etc..
ShanghART S-Space is a special project space of ShanghART Gallery with no fixed space and time. S-Space will hold exhibitions for artists and curators in terms of different curatorial ideas. For this time, S-Space moves into ShanghART Beijing, it will present a group show “Shared Narrative(s)” curated by MIAO Zijin.